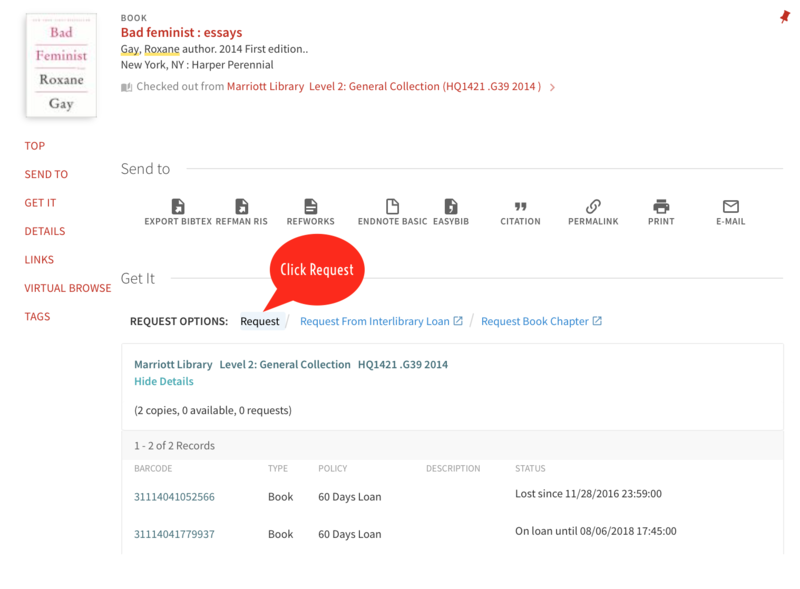 For physical materials such as books, A/V materials and more, use the Get It tab to view more information and place requests. Tip: You must be logged in to place requests. 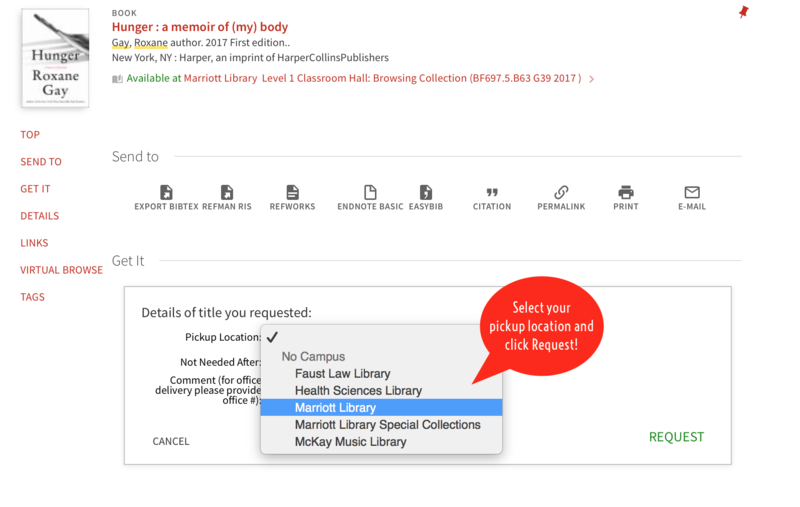 Tip: To initiate a request for physical items, click the request link, choose your Pickup Location and click request to finalize your request. Items typically are available within 15 minutes during open library hours. Long runs of microfilm may take longer than 15 minutes to be pulled.